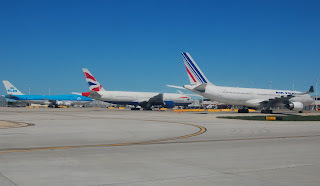 These three widebodies sat idle last week in ORD as European airspace remained closed due to Eyjafjallajökull's liveliness. The KLM 747 had an older brother that crashed in the deadliest accident in aviation history, caused dominantly by pilot error. The Air France A330's sister was lost in the Pacific for reasons that remain unclear. 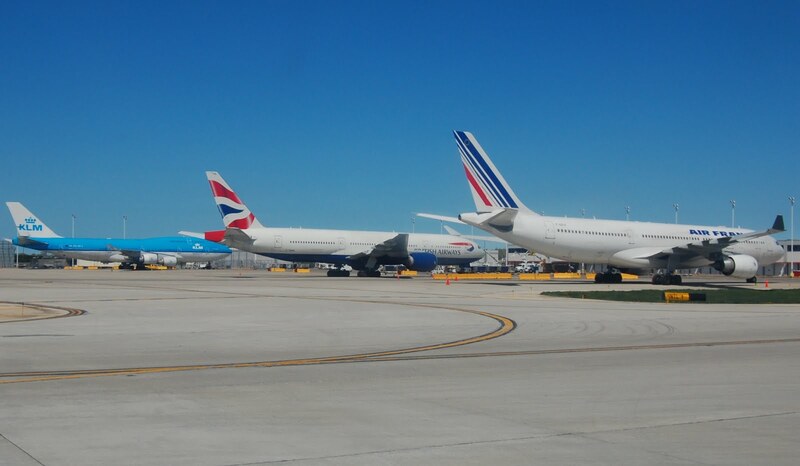 The British Airways B777's sibling was written off after landing short in London, due to fuel icing problems.